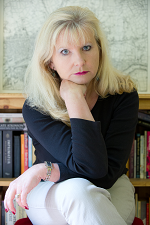 Let's all give a warm welcome to Tessa Harris, author of the Dr. Thomas Silkstone series! "After studying History at Oxford University, I began my journalistic career on a newspaper in my home town of Louth, in Lincolnshire. I progressed onto a London newspaper, where I became women's editor. From there I moved to become a feature writer on Best magazine. After two years I was made editor of a regional arts and listings publication. This was followed by another two years as deputy editor on Heritage magazine. Motherhood meant a spell as a freelance, contributing to several national magazines, such as Country Homes & Interiors, Perfect Home and Woman's Journal, as well as newspapers such as The Times, The Telegraph and The Guardian. During this time I also worked as a literary publicist and for a documentary-making company. In 2005 I was made editor of Berkshire Life magazine. 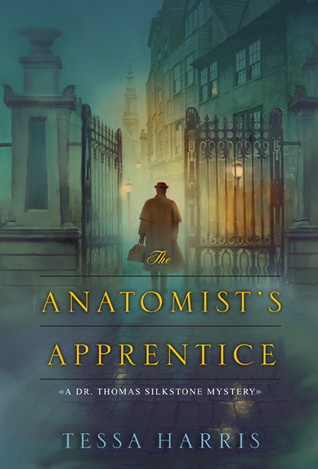 I've read and loved the first book of the series, The Anatomist's Apprentice, in which we meet Dr. Thomas Silkstone and follow him through his beginning journey of love, learning and discovery; not to mention the scandalous mystery that ensues. I found this historical fiction very fascinating and educating as the author delves into the beginning discoveries of what is now known as forensic science. Imagine my pleasure when I learned the release of the next in the series, The Dead Shall Not Rest! Wonderful! I talked to Tessa to find out more about her process and concept for this daring series! I'm one of those lucky people who was just born to write. I never needed to be inspired. It was just always there - from the age of four in fact. My mother has kept my first picture book about a rabbit called Tippee! What brought up your interest in historical forensics? I've always loved history and studied it at Oxford, but I've also had a bit of a gruesome streak in me. Maybe it's something to do with the fact that when I was born I had to have an emergency operation, but was too little to be given an anaesthetic. Apparently they put me in a cruciform box and gave me a drop of brandy. I guess you could say I had surgery 18th century style, but I lived to tell the tale! How did you come up with the title: The Dead Shall Not Rest? Good question! The novel was originally called To Slay a Giant, but the sales team at Kensington asked me to change it. Giants don't sell novels apparently! This is the second novel in the Dr Thomas Silkstone series. We find Thomas enlisted to come to the aid of an Irish giant who finds himself in danger. Based on a true story, it's a dark and thrilling tale of an obsessive anatomist who trails the giant in order to dissect him; can Thomas help him escape? My third novel, The Devil's Breath, out later this year, was inspired by the ash cloud over Europe in 2010. I discovered a volcanic eruption also caused havoc in 1783, killing thousands in England, and used it as the backdrop for the book. Some people thought it was the end of the world and I was writing it at the same time there were all these ridiculous rumors to that effect on the internet. History was repeating itself. I don't get writer's block as such. I call it writer's confusion. Sometimes my plots can get so complicated that I just have to take a step back. That's when I go for a walk with my dog Indy. 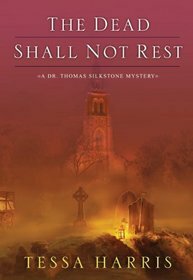 The Dead Shall Not Rest was originally a screenplay, which was optioned. When, however, it never got made, I couldn't bear to think that no one would read the poignant story, so I wrote the book. I learned that writing a novel, for me, is much harder than a screenplay, but I do enjoy writing both. And, who knows, maybe Dr Silkstone might still make it to the screen one day? I love how eerily great her interest in historical forensics came from! I also find it fascinating how a current event can be reminiscent of past events, and how they can impact a story; inspiring revelation for readers, writers and everyone alike! Want to know more? Visit Tessa Harris and say hello!